Himachal Pradesh, a north Indian state in the Himalayas is an abode to colorful culture, antique art and radiant lifestyle with a backdrop of mesmerizing peaks draped under snow enchanted with lush green slopes. Himachal is not just speaking about the scenic beauty or adventure sports, but also reflects some of the most beautiful places where love bathes in the breeze, nature blushes and the sky smiles. No wonder why sightseers from different corners of the world visit the state with extreme elation. Every couple plans to spend some momentous time to experience that eternal feeling of love that would always recite throughout their life. You can make your honeymoon more romantic and cherishable by visiting a place that is worth rejoicing. And Himachal has been always appreciated by most of the newly- weds who have walked through the warmth of craggy hummocks and silent streets. No crowd, no noise but as simple as expressing and understanding each other to step happily into a new phase. While dawdling for a honeymoon destination the state undoubtedly tops the chart as it assures you to create a cordial ambience that help you nurture a new beginning of love and trust. Here is a list of 5 best Honeymoon Destinations of Himachal Pradesh. 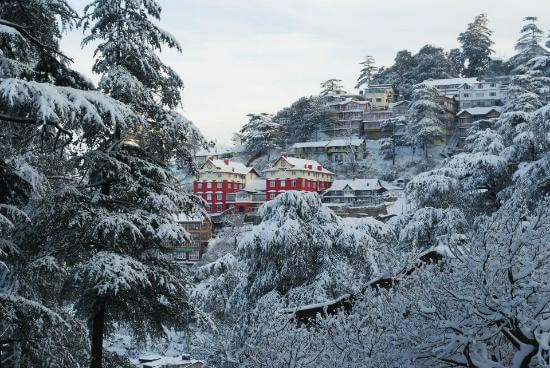 Chail is a heavenly hill-station that is located a little away from the capital Shimla. The hovering trees of deodar and the world’s highest cricket ground at an elevation of 2,444 meters depict enriches its existence. If you are fond of adventurous activities, then you can try out flying fox, rock-rappelling, tyre bridge and rope walk etc. The famous sites of attractions are Chail Sanctuary, the cricket ground and the Chail gurudwara. A perfect pack encompassed between five hills of Potreyn, Kathalagh, Bakrota, Bhangora and Terah. heavy. Romantic resorts sheathed by the hillocks and fresh breeze complete the milieu. The popular tourist spots of the area are Kajjar Lake, Bakorta Hills, Dainkund peak and Kalatop Sanctuary. 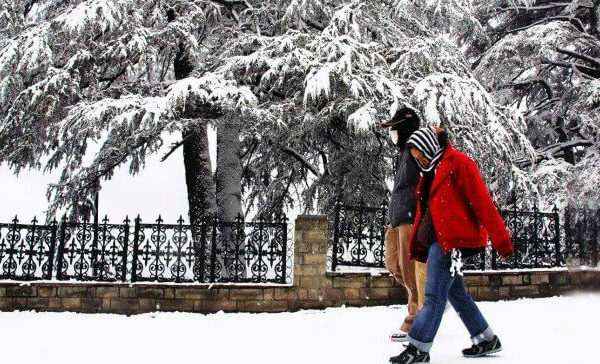 Kasauli is another fascinating hill station that that would convince you to bow down as a thanksgiving to soulful mother nature. It is believed that Lord Hanuman crossed the hill top while in search for Sanjeevani booti in the epic Ramayana. The world’s highest brewry and distillery is in Kasauli. The monkey point, nahari temple and Christ church are the adorable. Trekking and paragliding are few activities that can also be tied out here. Chamba is an ancient town set up on the successive terraces on southern side of the inner Himalayas, Zanskar and Dhauladar Range through which the River Ravi trails across. The dynamic place is enlightened with shrines and monuments of the British era. Handicrafts of the Region are also famous. The Church of Scotland, Banni Mata Temple and Champavati Temple are well known and descriptive. Tibetian Culture and Buddhist Monasteries defines the beautiful place sited close to Dharamshala. The spiritual leader Dalai Lama belongs to this holistic land. Trekking to explore the ranges seems to be a breath-taking experience. Togetherness and a hand in hand walk alongside the flawless picturesque terrains wraps you inside love waves. Hey Love birds, if want to multiply your happiness and romance twice, then do book your tickets to these extraordinary places in Himachal Pradesh. Love is a promise, a souvenir and once given can never be forgotten, so never let it disappear.